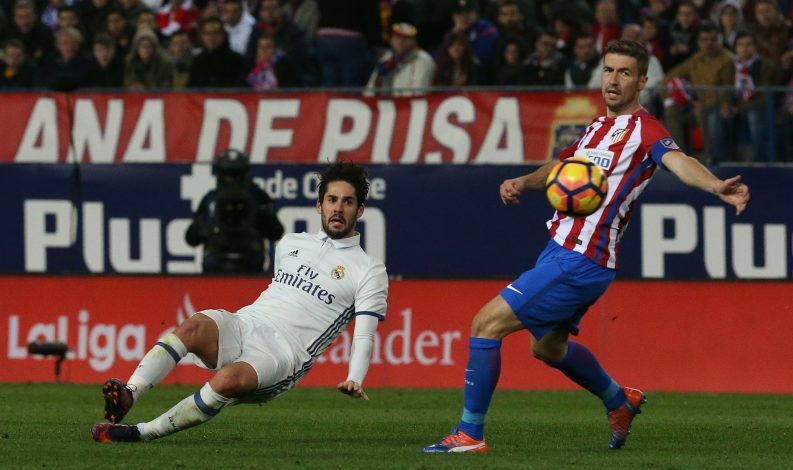 Isco is set to turn down a new contract at Real Madrid if he does not get enough game time this season. The Spanish attacking midfielder has been linked with several moves away from the club in recent weeks, with Premier League’s elite clubs said to be interested in signing him up. Isco currently has 18 months left to run on his current contract with Los Blancos, and is understood to be having ongoing talks about the possibility of an extension to his current deal. However, the player himself admitted that he is not willing to just sit around and earn money, and that he will consider a move away from the club should the amount of minutes he gets on the pitch not improve. The Spaniard has failed to stay on the pitch for the entire 90 minutes even once this season, and has struggled to force his way into Zinedine Zidane’s plans. He has made just eight appearances out of the seventeen games Real have played so far, and has scored three times. Real Madrid could be keen to hold on to the 24-year-old as they serve their ongoing transfer ban, but Isco could be on his way out of the Santiago Bernabeu. Tottenham Hotspur are said to be very keen on the midfielder, but will only make an approach in the summer. Manchester United, on the other hand, could make a bid for the player once the winter transfer window reopens in January. Jose Mourinho signed Isco for Madrid from Malaga for a fee around the region of £24 million while he was still in charge of the La Liga giants, and he could now attempt to bring the player to Old Trafford.